Just wanted to point out that on your right-hand side of the screen we’ve updated our blogroll. 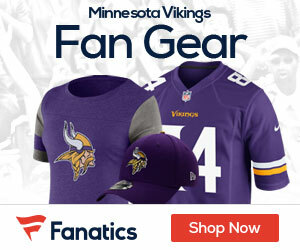 The point was to get rid of any dead links or blogs where the last update was speculating about whether or not the Vikings would REALLY trade Randy Moss. As always, on the left-hand side is your guide to our Sports Gab Network in case you’d be interested in reading about some other team for goofy reason (okay, fine, fantasy football counts). So make sure to check out all these great sites, but don’t forget to make your way back here for updates on the ’09/’10 Super Bowl Champs! Hey, it’s preseason, the time for hopes, dreams, and smack talking.